A critical report shows an NHS ombudsman has found that a woman with physical and learning disabilities has died following a series of NHS mistakes. A series of mistakes from two NHS organisations is found to have contributed to the death of a young woman with physical and learning disabilities, the NHS ombudsman has concluded in a highly critical report that has highlighted the issue of prejudicial attitudes leading to poor care for such vulnerable patients. The report, by NHS ombudsman Dame Julie Mellor, finds that Tina Papalabropoulos, died aged 23 in Basildon hospital in Essex of aspiration pneumonia in 2009 after a series of errors by an out-of-hours GP service and an NHS hospital. Mencap says it has identified around 100 cases in which patients with learning disabilities have died after receiving poor care. They have estimated 1,200 vulnerable patients a year die because of neglect by the NHS. The ombudsman made four findings of "service failure" against Basildon hospital, part of Basildon and Thurrock University Hospitals NHS foundation trust. It was guilty of "a prolonged delay before [Paplabropoulos] received the treatment that her condition called for". The report also criticises the hospital for doctors not giving Tina's parents the full picture during discussions with them, not implementing a care plan which should have guaranteed her better care, as they had dealt with her since she was young, and staff did not discharge their responsibilities under disability discrimination law. 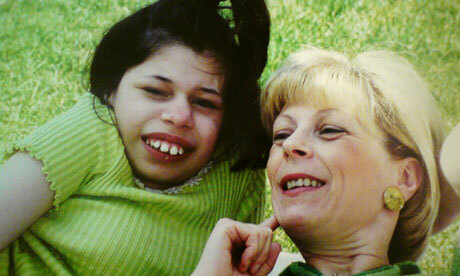 Christine Papalabropoulos, Tina's mother, and the charity Mencap both claimed that doctors provided such grossly inadequate care to her because of attitudes based on her disabilities. She had learning disabilities, epilepsy, a form of dwarfism called Russell-Silver syndrome and severe curvature of her spine. When your child becomes ill and you need professional help from doctors, you and your child are looked at and you can see their mind working: 'Is there any point in trying to save this child's life?' You can see that they think 'this child has an existence and not a life. Wrong! This child is loved by all the people, family and friends that they come into contact with. This child is a human being. They just happen to be born with a disability. [Tina's] family and Mencap believe that the failings that led to her losing her life at 23 were because doctors held the view that Tina's life was not worth saving, due to her disability. The hospital trust issued a brief statement without any apology to the family or regret over the death. It simply said that since Papalabropoulos died in 2009 "the hospital has made significant improvements to the care and treatment we provide our patients with learning disabilities". Read full article at The Guardian.